Portland, OR: Graphic Arts Center Pub. Co. 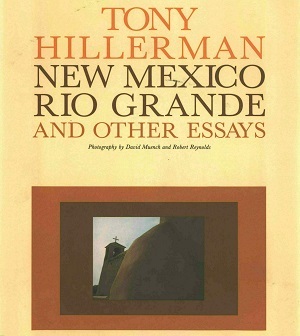 This is the first hardback edition of Tony Hillerman's New Mexico, Rio Grande, and Other Essays, published by the Graphic Arts Center Publishing Company in Portland, Oregon. This volume contains four original essays written by Tony Hillerman which are complemented by photographic images by David Muench and Robert Reynolds. Binding: Brown boards with title embossed in gold print on cover. The author, title and publisher's device are printed in gold, vertically on the spine.